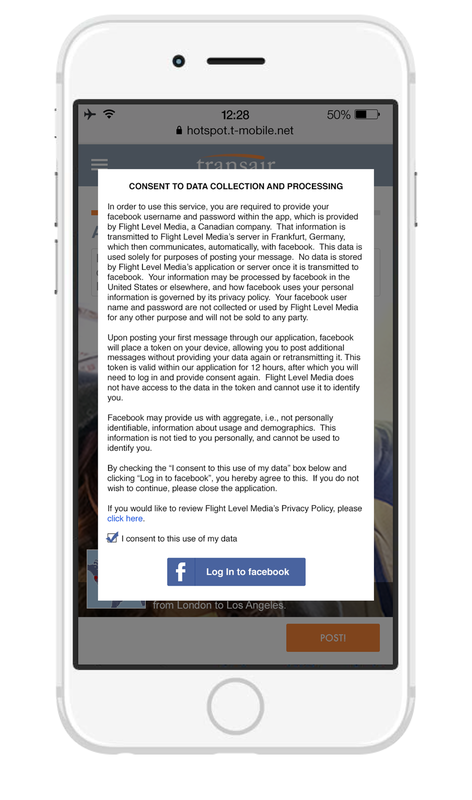 A Product Differentiator Unlike Any Other - Flying on over 100 Lufthansa German Airlines aircraft since November 2014, Postcards from the Plane is a first-of-its-kind application that provides passengers the opportunity to send Facebook posts and e-mail messages to friends on the ground free of charge. Each user creates a customized digital postcard featuring a self-selected image and written message. Real-time flight data (aircraft type, origination and destination points, elevation, air speed, latitude and longitude) is also included within the postcard. Whether accessed via tablet, laptop or mobile phone, there is no limit to the number of cards each passenger can send throughout a flight. Most importantly, airline operating costs are extremely low due to very small data consumption rates - between 3 KB and 5 KB per card. Media Conversion Opportunities Realized - Media buyers recognize the value of the in-flight audience. The ability to convert passengers to buyers in a low-cost manner has been virtually non-existent - until now. Postcards offer media buyers a budget-friendly opportunity to include billboard ads and enrollment forms when writing each postcard. All forms collected are shared with media buyers in real time. 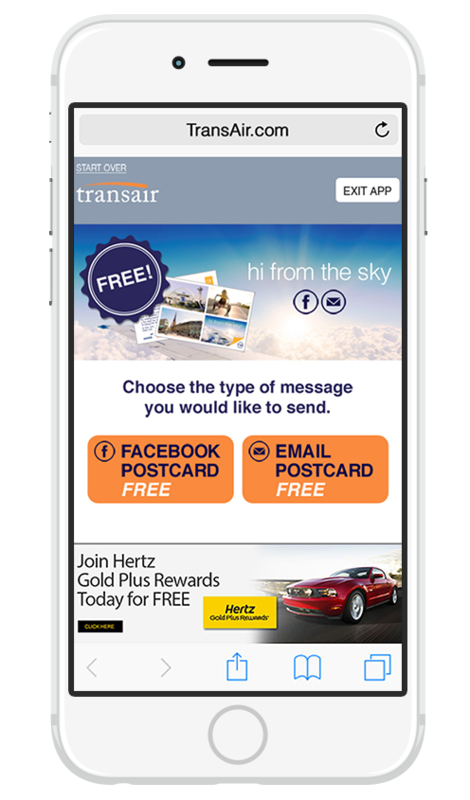 Including Postcards in an integrated media campaign - including entertainment promotional videos and/or in-flight publications - media buyers can drive passengers to immediate interaction with their brands, enabling higher conversion rates. From an airline's Wi-Fi log-in page, prior to any Wi-Fi session payment, a passenger can create and post a card on their Facebook News Feed in five quick steps*. 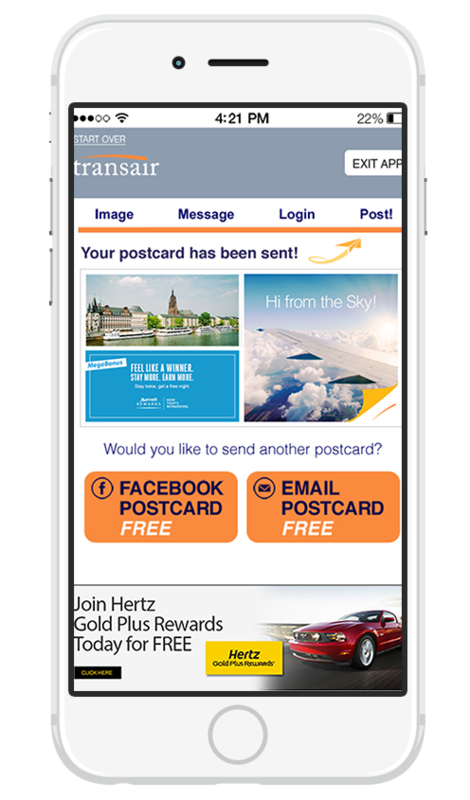 Placing a postcard on a Facebook News Feed using a laptop or tablet is no different from doing it on a mobile device. 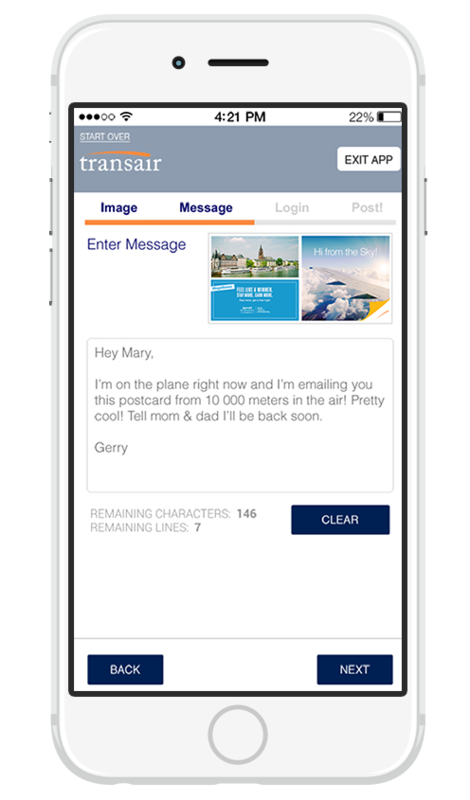 Sending a more personalized postcard via direct email to someone on the ground is just as simple as a Facebook post. Instead of logging in to Facebook, a passenger simply enters both their email address and their recipients prior to sending the email. It is that simple. Please note: the inclusion of any type of attachment is not permitted.